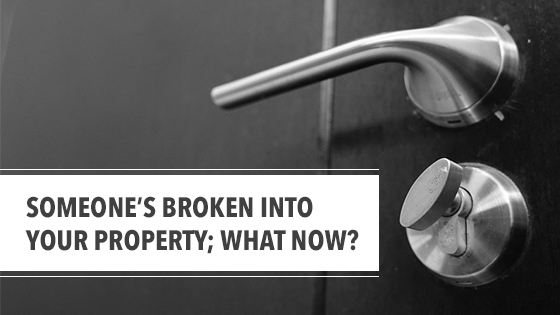 Blog - Someone’s broken into your property; what now? Someone’s broken into your property; what now? Most of the time a security system does its job just by preventing unwanted people from entering your property and discouraging them from breaking in. However, what happens when someone actually manages to get past a door or barrier and into your property? Well, with the most basic level of security you will only be alerted internally. An alarm will sound at the house, and if you have it set up then a message will be sent to your phone. Because this only provides a limited amount of cover, many people opt for monitored alarm systems in Sydney. While this service costs a little extra, it gives you the advantages of a back to base alarm, meaning that when your alarm is triggered it notifies a central response centre. When an alarm is triggered it gives a small window for the alarm to be deactivated by anyone on the property with access control. If it is not deactivated in this time then the response centre is notified. They will then attempt to call the authorised person provided on their contact list. The control room can either send a patrol if no one is reached or despatch a patrol on the request of the contacts when they have reached them. So while it is possible to limit yourself to an alarm system that only sets off an alarm on the property, there are numerous advantages to having a monitored alarm system. To find out how our alarm systems can best protect your property, give us a call on 1300 13 40 33.